In this review, we consider the applications of electron paramagnetic resonance (EPR) methods to the study of the relationships between the electron transport and oxygen-exchange processes in photosynthetic systems of oxygenic type. One of the purposes of this article is to encourage scientists to use the advantageous EPR oximetry approaches to study oxygen-related electron transport processes in photosynthetic systems. The structural organization of the photosynthetic electron transfer chain and the EPR approaches to the measurements of molecular oxygen (O2) with O2-sensitive species (nitroxide spin labels and solid paramagnetic particles) are briefly reviewed. In solution, the collision of O2 with spin probes causes the broadening of their EPR spectra and the reduction of their spin-lattice relaxation times. 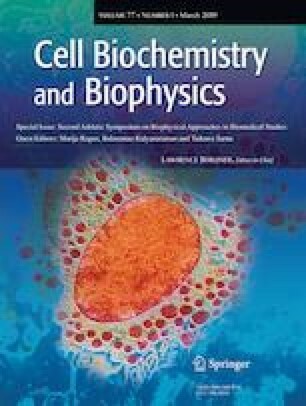 Based on these effects, tools for measuring O2 concentration and O2 diffusion in biological systems have been developed. These methods, named “spin-label oximetry,” include not only nitroxide spin labels, but also other stable-free radicals with narrow EPR lines, as well as particulate probes with EPR spectra sensitive to molecular oxygen (lithium phthalocyanine, coals, and India ink). Applications of EPR approaches for measuring O2 evolution and consumption are illustrated using examples of photosynthetic systems of oxygenic type, chloroplasts in situ (green leaves), and cyanobacteria. This work was supported in part by the Russian Foundation for Basic Researches, Projects 15-04-03790 and 18-04-00214 (A. N. Tikhonov) and by the National Institutes of Health, USA, Grants EY015526 and EB001980 (W. K. Subczynski). Jarvi, S., Gollan, P. J. & Aro, E.-M. (2013). Understanding the roles of the thylakoid lumen in photosynthetic regulation. Frontiers in Plant Science. https://doi.org/10.3389/fpls.2013.00434. Ptushenko, V. V., Zhigalova, T. V. Avercheva, O. V., & Tikhonov A. N. (2018). Three phases of energy-dependent induction of P + 700 and Chl a fluorescence in Tradescantia fluminensis leaves. Photosynthesis Research. https://doi.org/10.1007/s11120-018-0494-z.